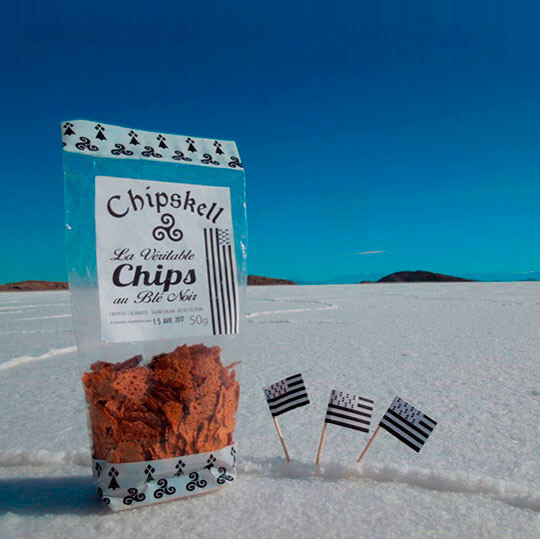 Chipskell is an aperitif product from a region of France called Brittany, made from black wheat. 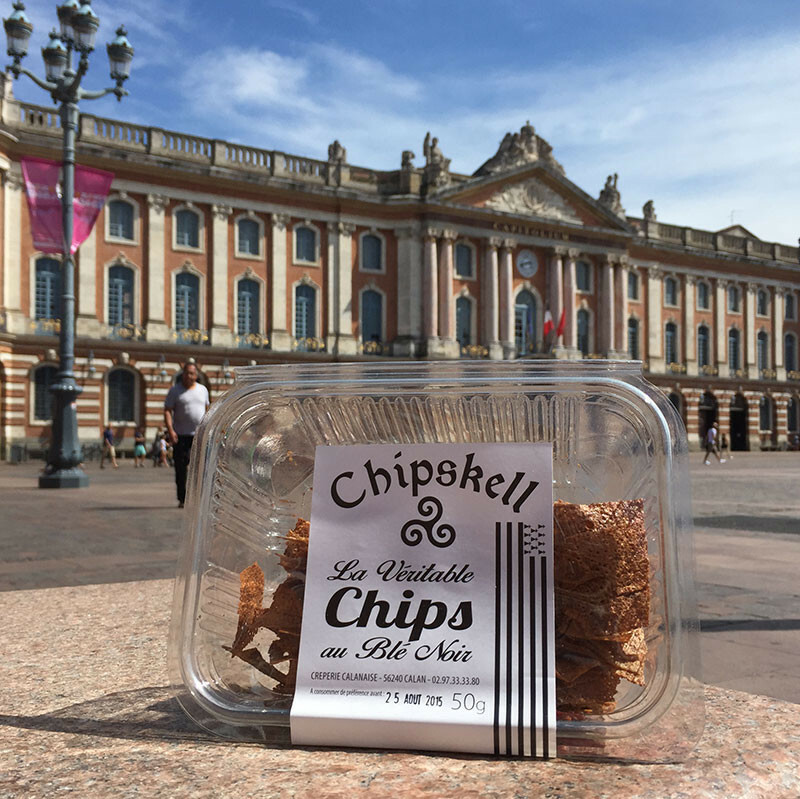 Chipskell resembles French "crêpes", but is designed for use as an aperitif. this product is made by a little company called "crêperie Calanaise". Not caloric, you can share a box of Chipskell with your friends or your family before eat. Here you can see a Chipskell pack with Brittany flags.